In the midst of a city where people are crowded on top of one another in the mortal scrum, thrashed by the high voltage amped-up race for success until they are turned, finally, into anxious twitching death-balls by their own shredded nervous systems, Black Lips seem to offer some twisted relief from the behavioural sink, even if it ultimately amounts to little more than a savage primal scream. They have made waves on the back of raucous live performances, and their last studio LP Let It Bloom was a slice of garage ripped straight from some bygone era where, in the time it took to smoke a cigarette, quick and liberated music regularly ran its way up your bones then down the road with oily pants still round its legs. The ‘flower punk’ tag is maybe a misnomer: Cole Alexander, Jared Swilley, Joe Bradley and Ian St Pe – whilst jangling amidst the grit – are more likely to do so because they have a roughly tuned guitar than because they are gripped by any grand psychedelic notions. Still, it’s a pigeonhole and God knows we need more of them. 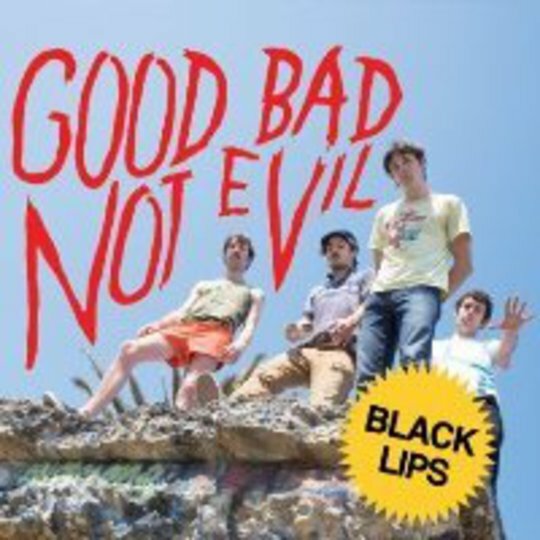 Good Bad Not Evil is Black Lips’ fourth studio album and first official UK release after previous outings on Bomp and In The Red. It’s a wider take on their sound than previous roughly-hewn outings, and places one foot outside of the city, betraying their southern roots. 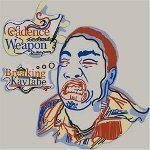 It finds some air to breathe where previously there was only ricocheting and bluster, and in ‘Veni Vidi Vici’ (a standout track which warns, “Doesn’t matter what you do, holy world war will come for you”) there is evidence of a subtle liberating shift. Its dusty, sunset blues will surely galvanize a few new ears and its ‘Latin’ tag should intrigue. There’s much of the early Rolling Stones in Black Lips’ sexed-up rattle and blues, and in equal measure a strong Latin/South American influence now permeating its way into their work; a precocious vein of smithery that readily and tastefully taps old furrows with no little style. There’s joy and wit that manages to hide songs dealing with death and struggle (as well as the usual alley cat desires) within a genuinely inclusive and easygoing patter, which makes for great pop music. Not one of these songs breaks the three-minute mark, and the album’s skinny frame allows it to strike fast and be off before any of the admittedly straightforward routines become dull. There’s filler for sure, but with the 13 tracks being sleek as they are such fluff merely makes for a more rounded proposition. No sucker-punch then, but a stinging series of whips and strikes that rather than knock you out will kick and stir an agitated fire. Some of the stud-yelps and howls and grit that made_ Let It Bloom such a compelling lure are gone, but Good Bad Not Evil _has moved Black Lips into a zone where they can experiment and break out a little. 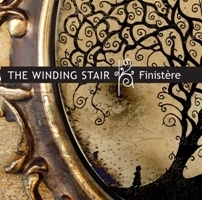 It also perhaps offers a glimpse of their future, and on its own relatively narrow terms is a sure-fire winner.